Aerial modelling and inspections using commercial-grade drones offer compelling advantages for the resource sector by increasing safety, saving time and reducing survey costs. 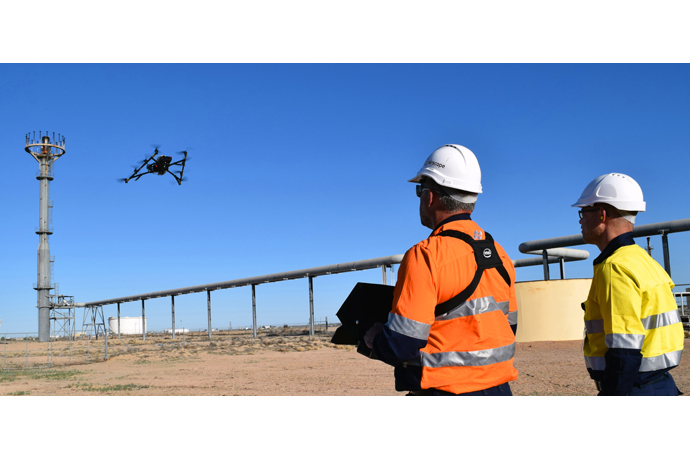 Airscope*, a Perth, Australia-based inspections and asset visualization company, has used the Intel® Falcon™ 8+ drone to extend these benefits further by developing computer-generated 3-D models of entire hydrocarbon processing facilities off the North West shelf of Australia and in the Cooper Basin, effectively bringing the field into the boardroom for more effective asset management. Industrial digitization or “Industry 4.0” is predicted to generate US$421 billion in cost reductions and additional revenue each year for the next five years worldwide, according to a report by PwC.1 3-D modelling of resource assets by companies like Airscope is one way of contributing to and driving this digital revolution that is transforming industry. Airscope’s director, Chris Leslie, and its chief controller, Francois Alberts – both trained commercial airline pilots – saw the potential opportunities drone technology could offer to the resource sector. They reshaped their careers to work with software, survey and geospatial specialists to develop new ways for large resources companies to manage their physical assets. “When people think of drones operating in industrial applications, they think of inspections collecting data from hard-to-reach places,” Leslie said. 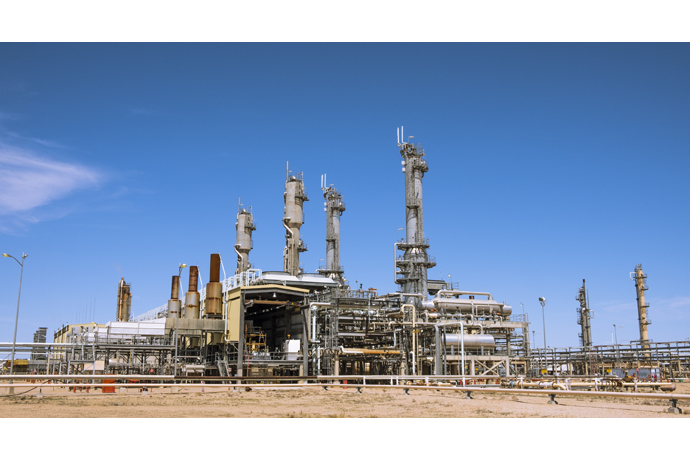 “Our business has evolved beyond this where the real efficiencies and return on investment for the client come from providing a digital 3-D representation of their physical assets. “We made the transition to asset visualization because UAV inspection only gave clients a fraction of the story; without context, the full potential of images captured cannot be realized. So now we create a virtual canvas of the entire site using airborne photogrammetry, ground photogrammetry and laser scanning. Once the virtual canvas is created, you can paint any operational or planning data on it, to serve as a human medium to access and interact with big data. Recently, Airscope worked alongside drone manufacturer, Intel Corporation, and local Australian distributor, Position Partners*, to deliver 3-D models of Santos*-operated facilities in Australia’s Cooper Basin. Santos enlisted Airscope to provide not only large-scale virtual models, but also inspection services of critical assets, which are challenging to monitor using traditional methods. The Intel Falcon 8+ is a multirotor-style drone that, through pre-programmed flight plans, is able to capture hundreds of aerial images per flight. These images are then collated and stitched together to form a holistic 3-D model through the photogrammetry process. Due to the accuracy of images capture by the Intel Falcon 8+, Airscope can incorporate laser scanning data into photogrammetry to make the model accurate enough for use in detailed engineering design of major infrastructure projects. 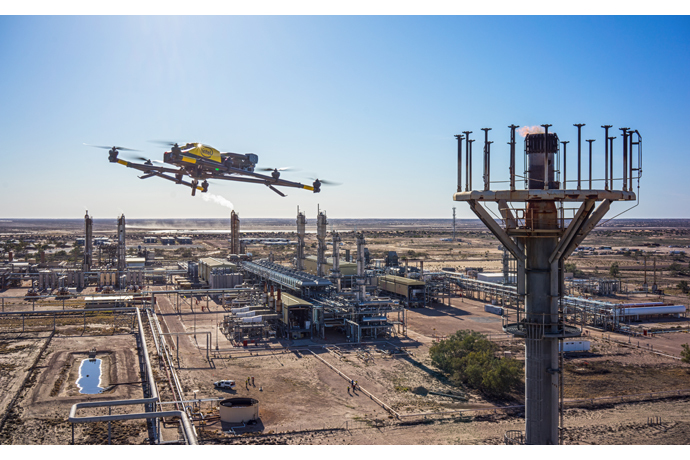 The quality and rate of data captured from systems such as the Intel Falcon 8+ drone increases efficiencies and lowers operating costs, while around-the-clock access to a full model of the plant on the Airscope Visualize* platform reduces preparation work and disruption to the operation. It also eliminates risks for activities such as working at height or exposure to hazardous working environments.